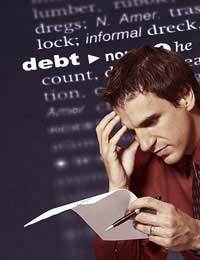 Defaulting on a loan agreement can have serious consequences for the debtor. If the loan is secured on a property it can lead to the sale of a home as this case study shows. A default notice is sent to borrowers when they miss one or more payments. It is a formal warning that the customer is in arrears and will include notification of the action that may be taken by the creditor. Even if payments are made after a default notice this notice can end up on a credit reference. This ‘black mark’ will stay on credit references for six years. Mark has taken out a £7,000 loan secured against his home with repayments of £200 per month over five years. “It was a hefty loan and the interest rate wasn’t great but I needed the money at the time and I used some of it to pay for home improvements.” Marc said. “After accommodation costs in Brighton and the loan and other expenses there really wasn’t much left over.” The facts were that even if Mark did manage to sell his property he would not have made any profit thanks to the loan he had taken out. Working 60 hours a week and having nothing to show for it can bring mental and physical stress. “I was just completely exhausted all of the time. I had no social life to speak of because I was always working.” said Mark. “If I missed a few payments to the loan company I was receiving default notices. A late mortgage payment would bring the same thing.” Mark’s work was beginning to suffer as were his finances, with his bank account constantly overdrawn. “After a year of working non-stop I had basically had it. The constant warning letters, default notices, telephone calls and having no money,” Mark said, “I began ignoring all the defaults letters.” By ignoring the default letters Mark was effectively leaving his property to both the bank and the loan company. This type of action is commonly known as handing in your keys and walking away from the property. The risk that comes with this action is that the property may be sold for far less than its value. It could actually mean that Mark still owed the lenders if the property was sold and there was not enough money to cover both lenders. The route to ending Mark’s debts is a risky option and not one to be taken lightly. Ignoring default notices can lead to court appearances for non payment. Secured loans do work in the creditor’s favour when property is concerned. Anyone who is facing debt problems such as Mark did should consult debt advisors such as the Consumer Credit Counselling Service. Re: Can Banks Refuse to Give Account Statements?